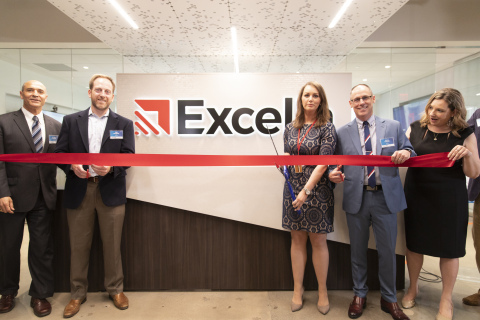 ARLINGTON, Va.--(BUSINESS WIRE)--Today, Excella, a pioneer in Agile technology solutions in the D.C. area, announced it has expanded its headquarters to accommodate its growing team, portfolio, and line-up of technology-focused events. The ribbon cutting took place on June 27, 2018, and was attended by elected officials, private and public sector customers, community leaders, and neighbors. Leaders from Arlington Economic Development and the Arlington Chamber of Commerce congratulated Excella on its growth, commitment to the community, and dedication to its customers. The expansion is another milestone in Excella’s success as the company has experienced a 30% growth rate in recent years and aims to achieve an additional 25% annual growth in the coming years. Excella hosts over 200 technology-focused events each year, bringing in speakers from around the country and serving as a draw for the local technology community. The event space, known as the Arlington Tech eXchange, is conveniently located near the Courthouse Metro and is an ideal spot for meetups, hackathons, training and other events. In addition to regular Agile and Scrum training, Excella hosts groups like Django Girls, DC Scrum Users Group, DC Continuous Delivery and DevOpsDC.